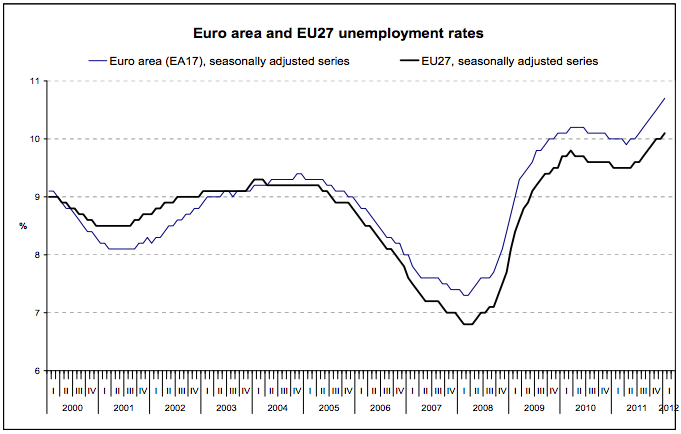 They continue to worsen with overall Euro area unemployment now at 10.7% and no sign of relief yet in the trend. 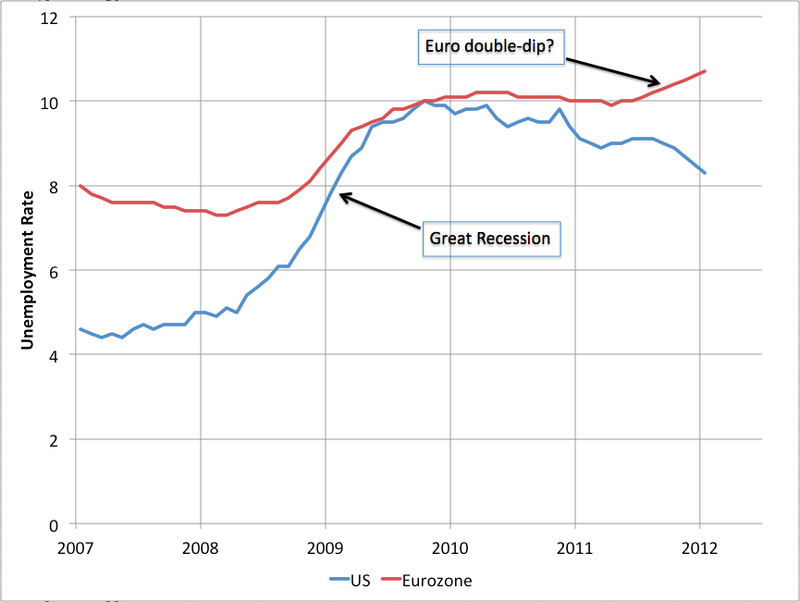 Europe had higher unemployment before the great recession*, but they almost equalized during it. 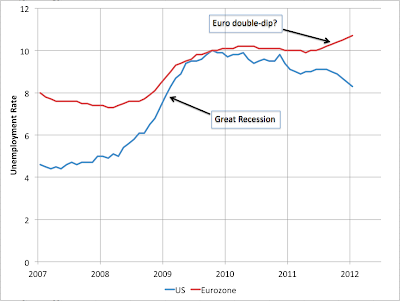 Now the US is is slowly and fitfully improving while the Eurozone is worsening again. * Note that differences in measurement and especially benefit regimes make the absolute number comparisons rather approximate. Comparison of the trends is certainly meaningful however. 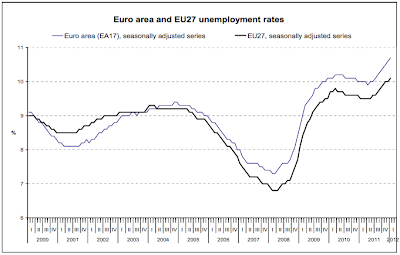 i am not sure on the participation rate in the Euro numbers, but US unemployment numbers are skewed, since so many people have given up. Food stamps are still at records highs which would not correlate with the economy getting better..
John: my understanding is that you have to tell the surveyor that you are actively looking for work to get counted as unemployed. So merely running out of benefits will not, in and of itself, cause you not to be counted as unemployed. However, the kinds of things you do to *survive* running out of benefits might indeed cause you to not count as unemployed any more (eg going back to school, filing a disability claim, moving in with parents/children/friends, etc could lead to you not actively looking for work any more). So certainly there are issues with this comparison. Over at The Oil Drum, Gail is discussing the impact of high oil prices on Europe. I suggested that it would be very interesting to analyze the impact of oil trade-deficits on the PIIGS. That might be an interesting topic for you.